There was a hurry, but then, there was room to fit in more. The Phenom 100 from Embraer is small to look at from the outside, and is a pain to get inside, but once seated, you’re in a nice, cozy business et of your own. 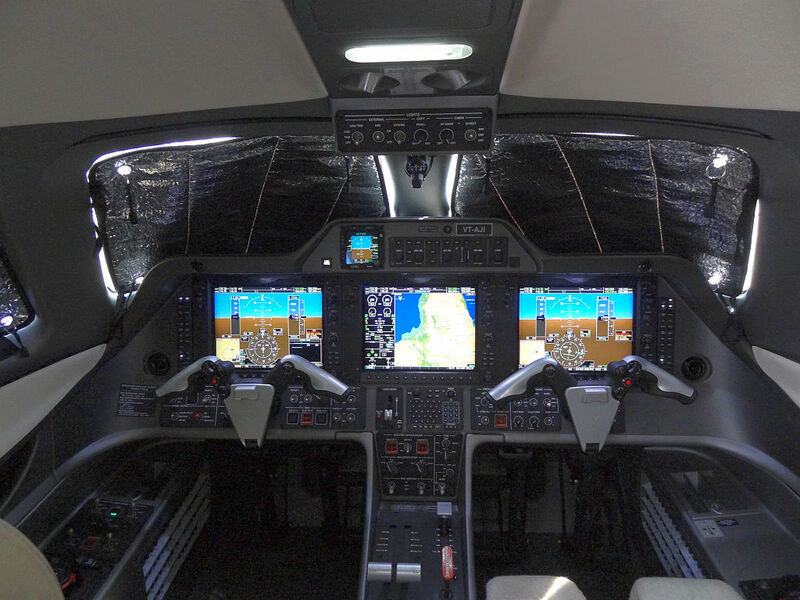 I still have more technical details of the aircraft to bring out, but the Phenom 100 is pure bliss, and an aircraft perfect for anyone getting introduced to aviation by way of a private jet. The “Jet” is a phenomenon, and boosts your image in the eyes of an onlooker, simply because having an airplane with propellers outside (read: turboprop) is simply “too old and not good enough“. SO go in for a jet! 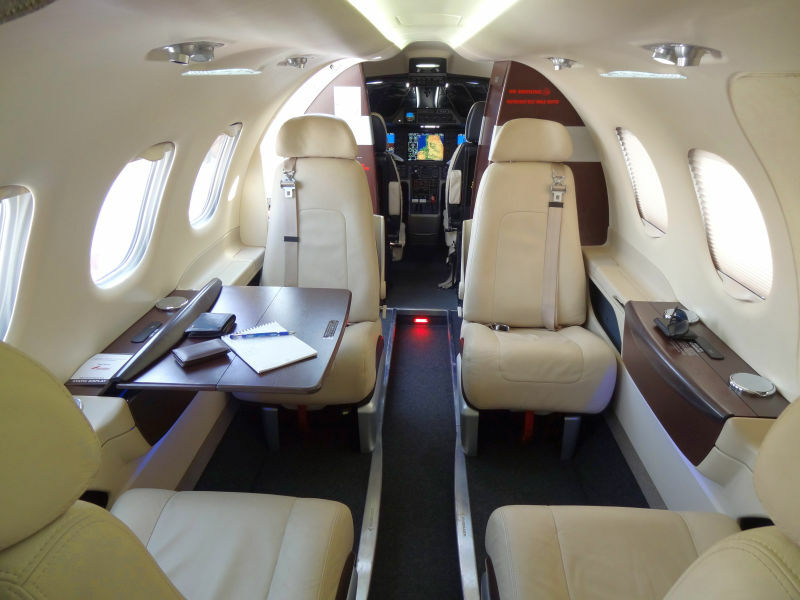 With the ability to seat 4 passengers very comfortably in the cabin, and take two extra persons by exercising a very innovative use of space, the Embraer Phenom 100 does an elegant job of accomodaing 8 souls on board, including 2 flight crew. 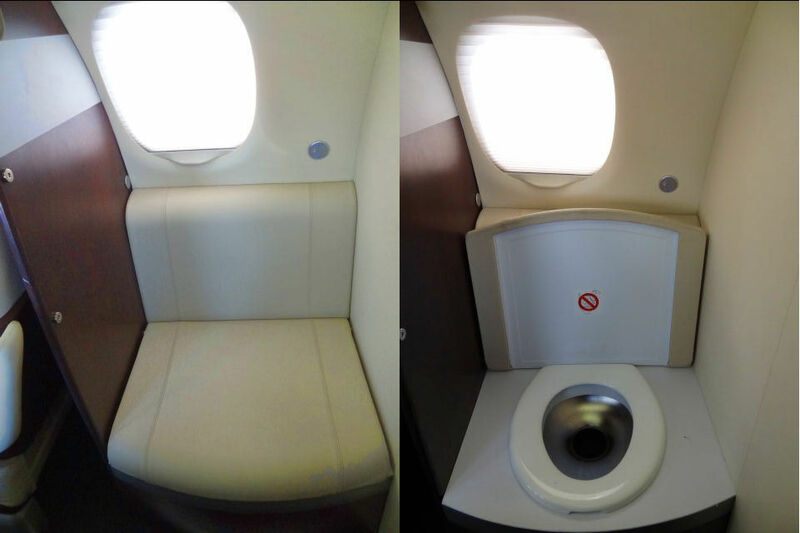 The 8th seat: the seat is the loo! The figures are not firm, but to give you an idea: 500kgs of fuel burn in the first 1 hour of the flight, ~350kgs/h fuel burn in cruise, and a range of about 1200NM (NBAA Assumptions): Very neat for anyone wanting to travel medium sectors, like the Phenomm100 operator: Joyalukkas (a renowned jeweller), whose aircraft (VT-AJI) is on display at India Aviation 2012. The Garmin Prodigy 100 Flightdeck. Funny how the seats still have a control column cutout, despite there being no column! The flightdeck employs the Prodigy Flight Deck 100, which is Garmin tailor made solution for the Embraer 100. 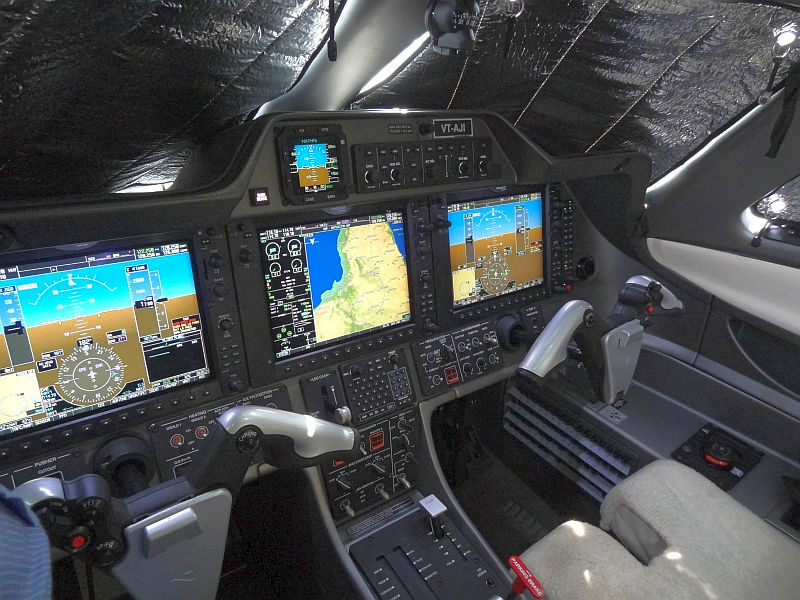 The screens are bigger than the G1000, pack moe information without cluttering, and present information that is more on the lines of Embraer’s “format”. The enhanced situation awareness impacts flight safety. Positively, that is. With a 30kg cargo hold in the nose, and a 160kg hold in the rear, the Phenom 100 is a perfect machine even for the heavy traveller. Its small, its economical, and more importantly, it’s a PHEMONenon to reckon with. Not only in India but also in whole world the aviation industry is expanding their services and business hence the demand of certified personnel is also increasing. Great career opportunities are there in aviation field. In the starting the airlines had less technology and safety measures but now the airplanes are fully equipped with latest instruments and measures. Students of aviation management are trained to take care of airplanes and passengers.